Unmoved by the benefits of shifting some of their operations to the public cloud, some healthcare providers are letting cloud providers bring their services to them. While the benefits of the public cloud have been widely accepted universally, concerns over data security persevere. 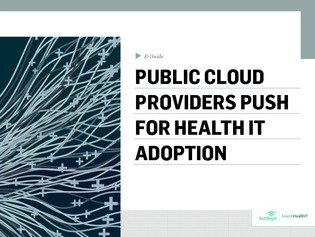 Uncover the recent trend of blending private and public cloud platforms, and how offerings like Microsoft Azure can provide healthcare organizations the benefits of the public cloud without the security concern.